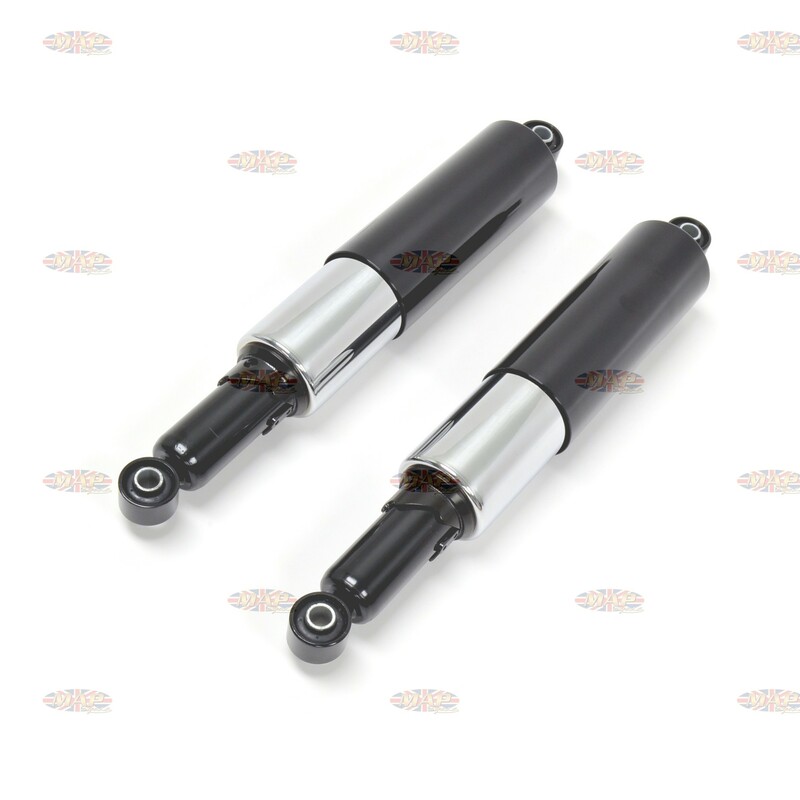 Have a Question about BSA Norton Triumph Shrouded Replica Shocks ? These really nice factory replica shocks will greatly improve the ride and appearance of your bike. Why not replace that worn out, rusty set on your bike with these beautiful new shocks? Fits BSA A50/A65 1962-70, BSA A75 Rocket 3 1969-72, Norton N15 as well as many Triumph models. Sold in pairs.